Why does everyone keep telling Lily that many hands make the basket? Didn't she make the basket with her very own hands? It is the most beautiful basket of her 10-year-old life and no one will give her the credit she deserves. In the end, she learns a valuable lesson about pride and the spirit of community. 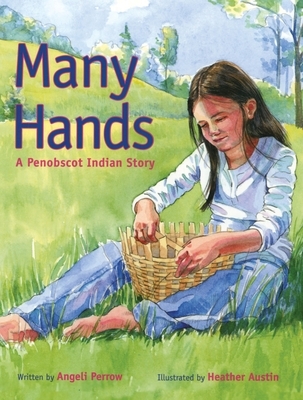 Into the story is woven the process of basket making and a Wabanaki animal legend, as well as some words of the Penobscot language. An elementary school teacher, ANGELI PERROW has also worked as a reporter, photographer, and assistant editor of The Katahdin Times newspaper. She has published three children's books and lives with her family in Hampden, Maine.